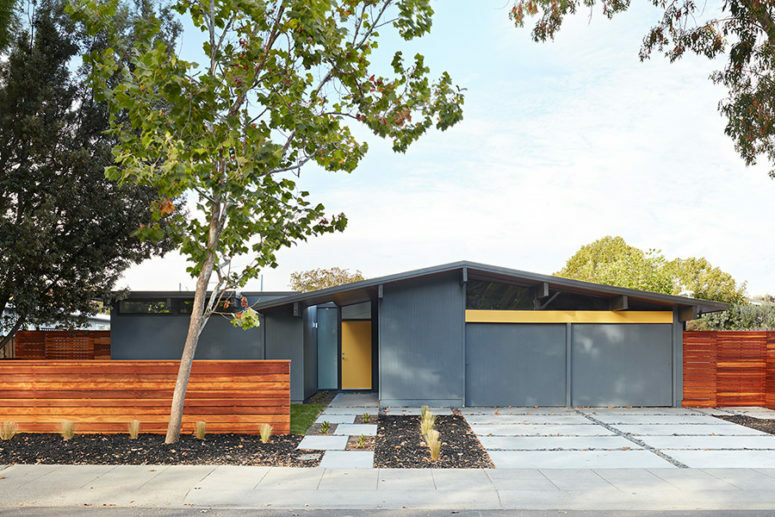 This Eichler Remodel by Klopf Architecture is just another feather in their cap. 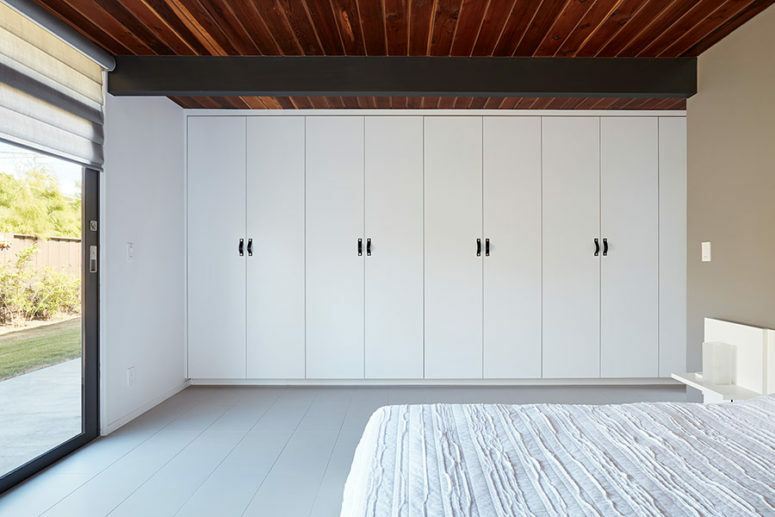 This is a restraint dwelling and many of the finishes are plain and simple keeping the interiors clean without falling into the trend trap. Let’s take a look at it! 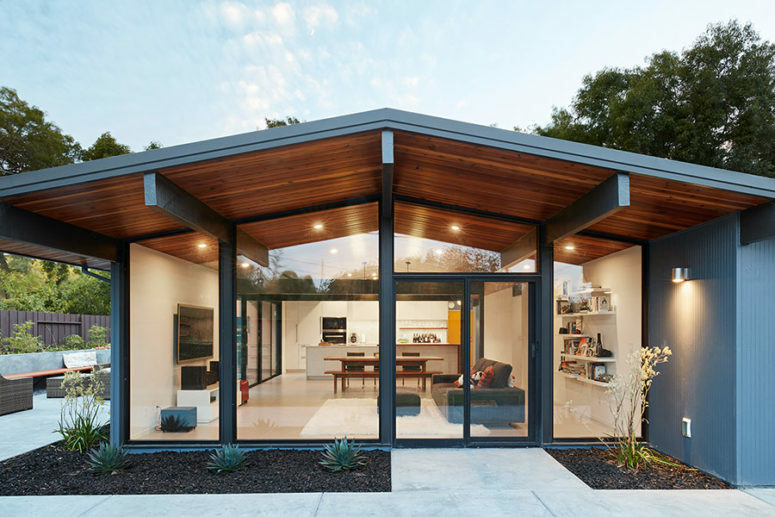 The goals were to work within the Eichler style while creating a more open, indoor-outdoor flow and functional spaces, as well as a more efficient building envelope including a well-insulated roof, providing solutions that many Eichler homeowners appreciate. 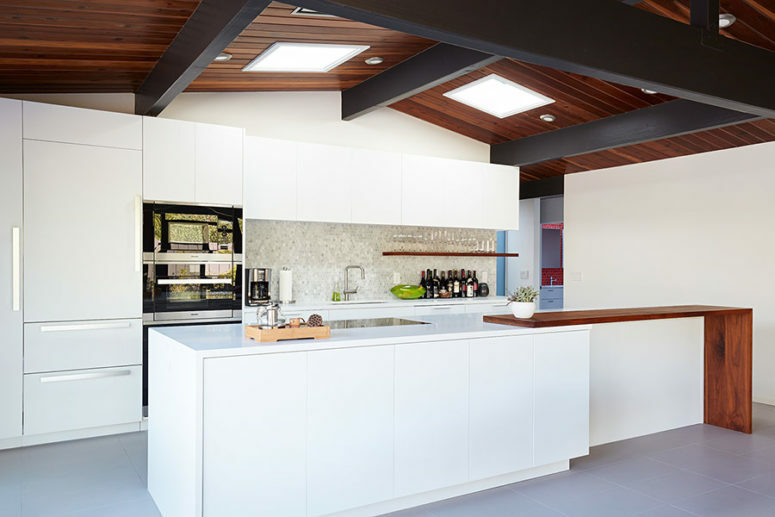 The dining space, kitchen and living room are united into one open and welcoming layout with a fully glazed wall that allows opening this space to outdoors. 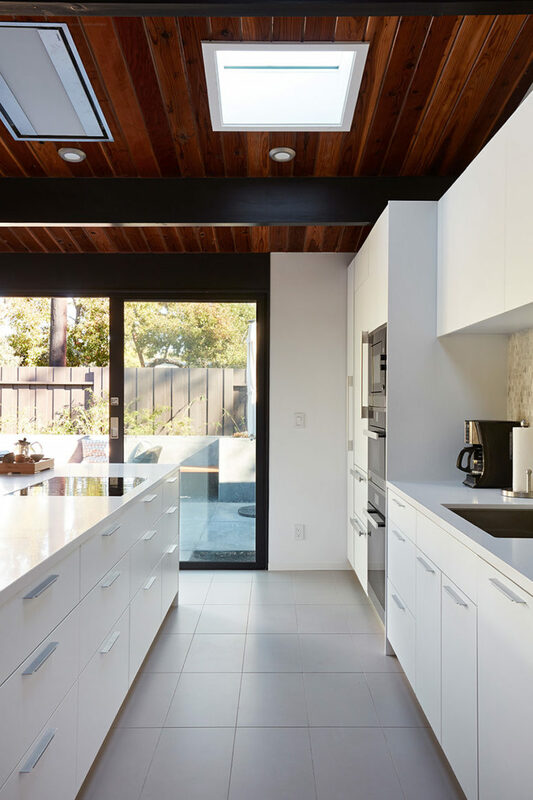 The kitchen is done with white sleek cabinets and a penny tile backsplash. 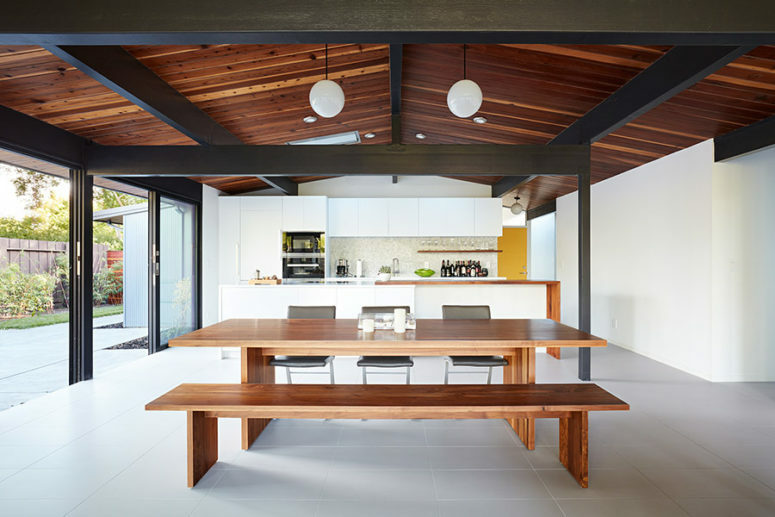 The dining space is very laconic and features only a wooden dining table and a couple of benches. 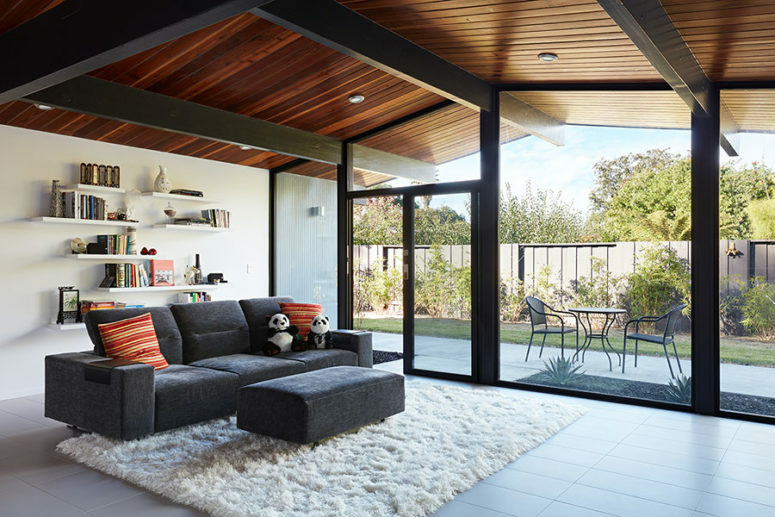 The living room is done with a grey sofa and footrest, there’s a white fluffy rug and some open shelves. Some skylights above bring in even more light to the layout. 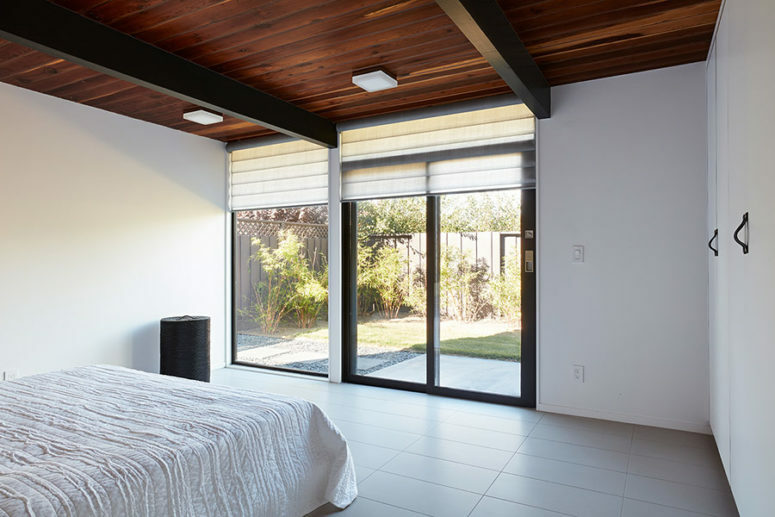 The master bedroom is very laconic: there’s a large bed, some cabinets for storage and a glazed wall to bring some outdoors in. you may also see some bedside tables and nothing else – this is a place to sleep and relax. 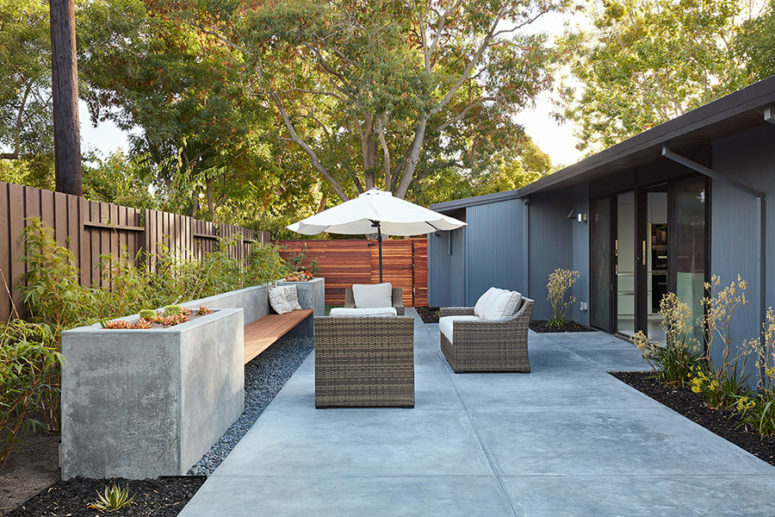 The outdoor space is a comfy living room with some wicker furniture, an umbrella to prevent too much sunlight, and you may also see a concrete bench with built-in planters.